"I accomplish my clients' goal without drama, headaches or wasted motion. I'm proud of my ability of to get the best deal done without being the focus of the discussion. Instead, I keep the focus on the client and on getting things done in a timely, businesslike way, anticipating what's going to happen, who needs to be involved and how to prepare for it efficiently." Advising clients on the registration of copyrights and trademarks, on the protection of trade secrets, on contractual relationships involving intellectual property, security rights affecting such properties, and other intellectual property needs. "I've been involved in transactions on the Outer Continental Shelf for 43 years," Marilyn notes. 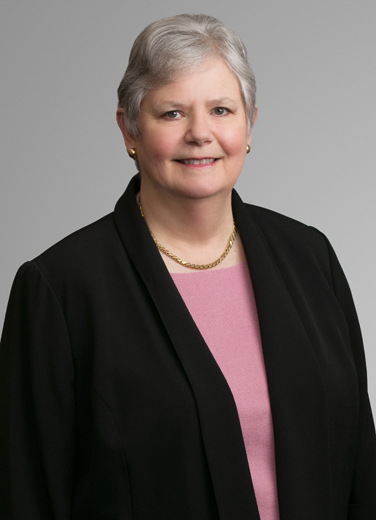 She has helped clients with dozens of financing and regulatory matters, such as complying with obligations to plug and abandon wells and decommission other facilities, assuring sellers of such facilities of the buyer’s performance of such obligations, energy lending (representing both borrowers and lenders), purchases and sales of producing properties and mid-stream assets and construction of pipelines, platforms and other facilities. "My experience means that I am able to move quickly and to see what is important and what is not. I have a strong sense of what makes the best deal…and then I help to get that deal done." Marilyn is a leader in many civic, legal, professional and religious associations. In 2013, she received a Distinguished Achievement Award from the Paul M. Hebert Law Center at Louisiana State University, and, in 2004, she was recognized by the Louisiana Bar Foundation with its President’s Award. The same year, she was selected by New Orleans CityBusiness as one of the Women of the Year. "When I moved to Houston many years ago, I became involved in Texas bar, civic and community activities…pursuits to which I still give my time and from which I receive great personal satisfaction. I am also mom to two jazz musicians and married to a retired minister."